Poké Toké has opened its doors in Paris. 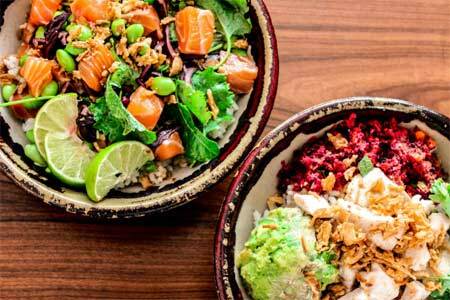 The restaurant offers bowls of Hawaii's iconic marinated raw fish dish (poké) highlighting French products such as trout from the Pyrénées and organic red rice from Camargue. Poké Toké, 61 rue de la Boétie, 75008 Paris, 01 42 89 38 05. American-born chef Daniel Rose has taken over a Parisian hallmark, Chez La Vieille, in the 1st arrondissement. Chez La Vieille, 1, rue Bailleul, Paris 75001, 01 42 60 15 78.